Day one of the Suwannee Spring Reunion features Asheville, NC as the bluegrass capital of the South. There’s a unique spell cast on you by the Carolina Theatre. On Friday, Jan 20th Johnson City's Willow Tree celebrated it's 3rd year in business by bringing Dangermuffin and Yarn to the venue for an enthusiastic celebration of great music. Grace Potter, with special guests The Hip Abduction, rocked the Lincoln Theatre street stage on a lovely Friday fall evening. Legendary scene photographer Robbi Cohn was on hand for Lockn' 2016. 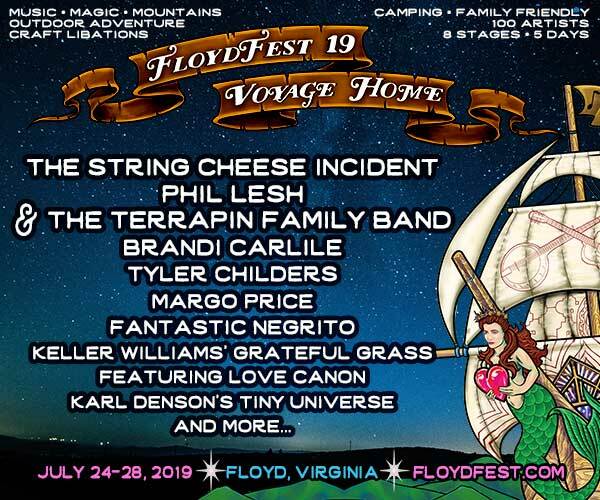 Music fans are treated to an awesome weekend in the hills of Virginia. Featuring a robust, retooled lineup and debuting two new full-time players, the Motet blows up Greensboro with a special Thursday night show at the Blind Tiger.